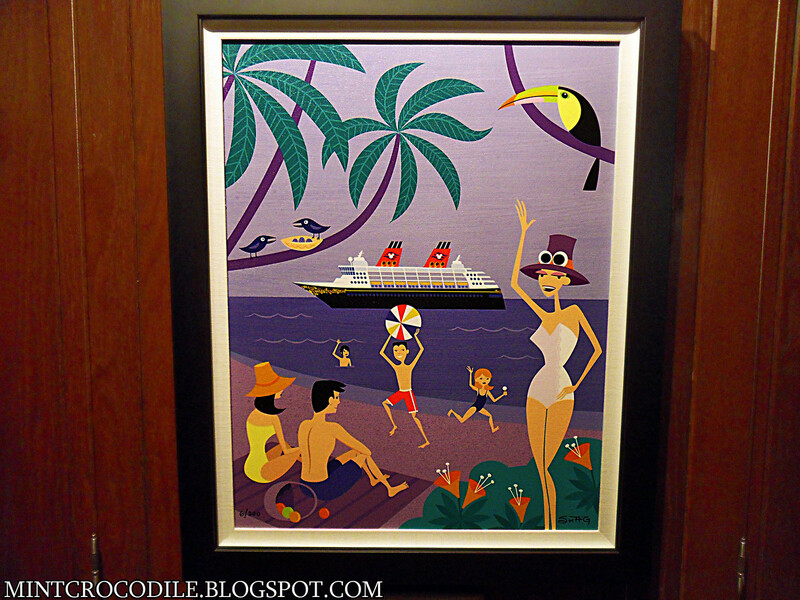 Prince William and Catherine Middleton were married in 2011, Nasa launched the Juno spacecraft, and Josh Agle contributed to eleven group art exhibitions. 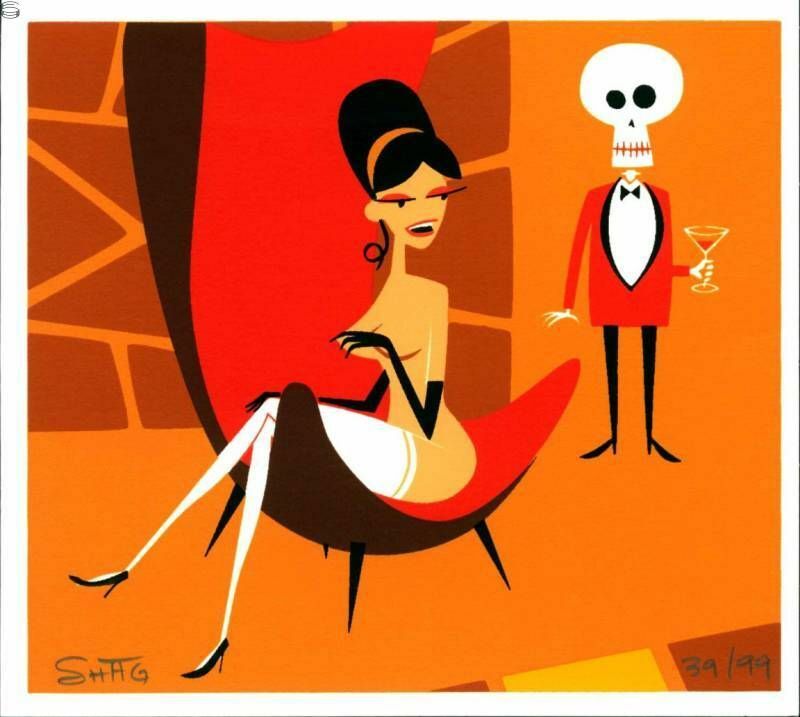 The Zero to Sixty: Five Year Anniversary group exhibition at the Corey Helford Gallery is covered by a separate post, Shag’s ten remaining group art shows of 2011 are detailed below. 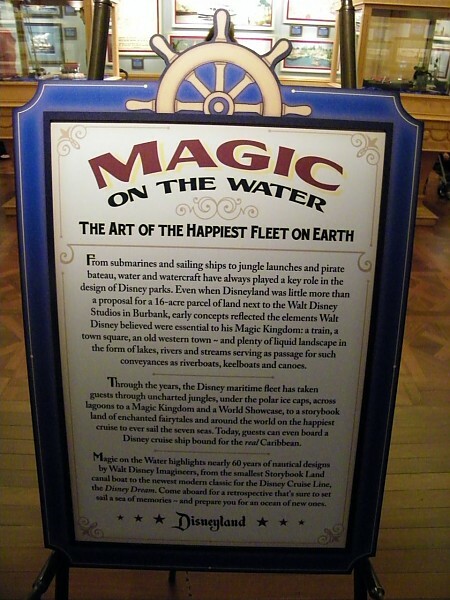 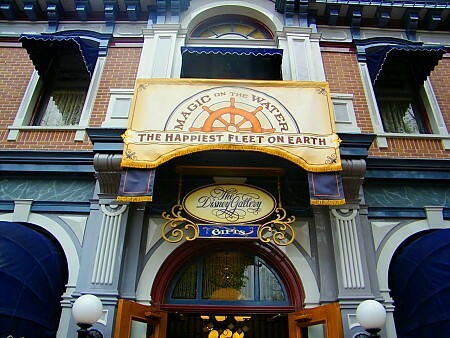 The Magic on the Water: The Art of the Happiest Fleet on Earth exhibition ran at Disneyland in California from January 29th to May 12th 2011. 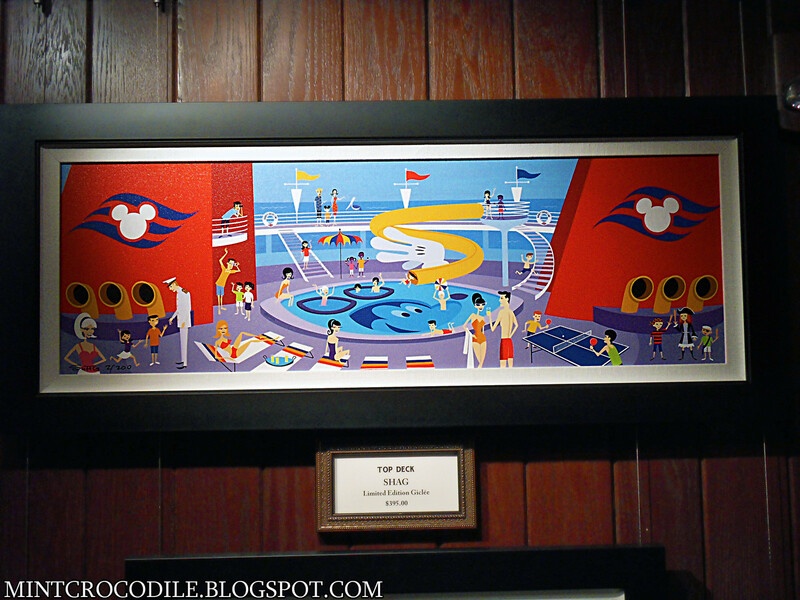 The exhibit celebrated almost sixty years of nautical designs by Walt Disney Imagineers. 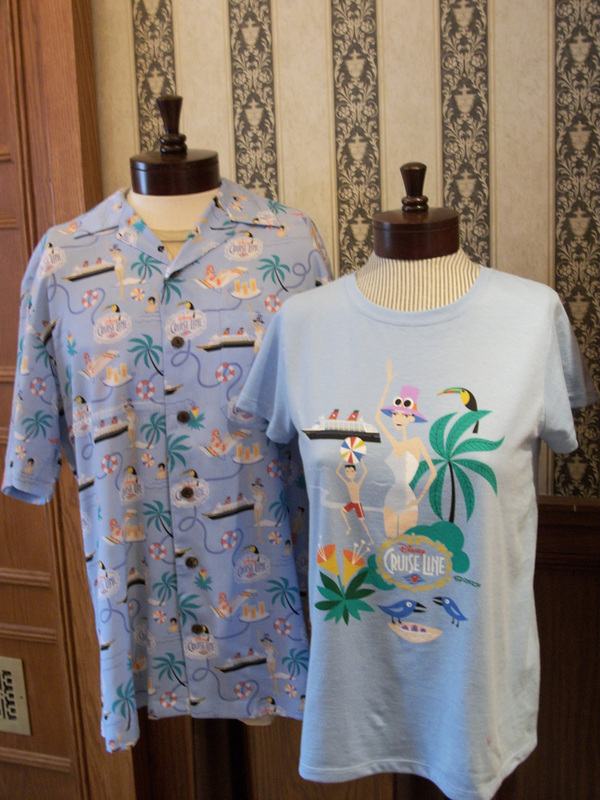 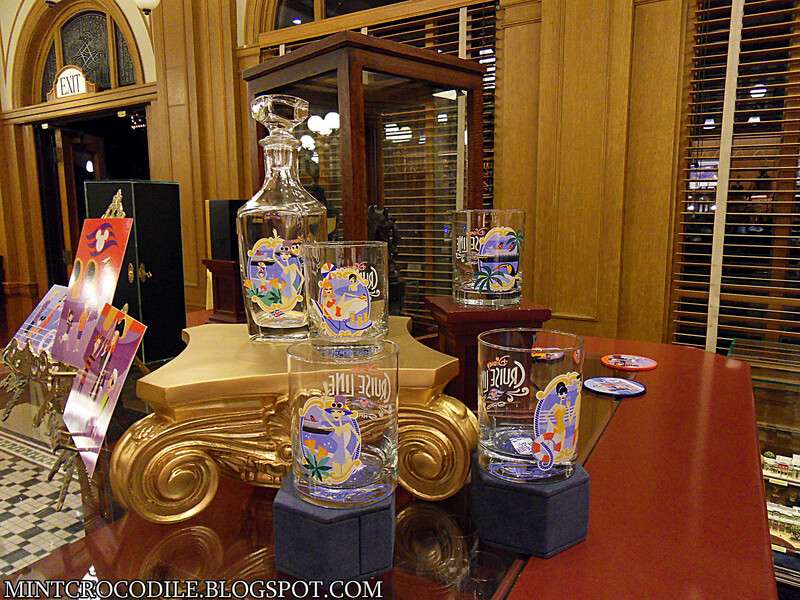 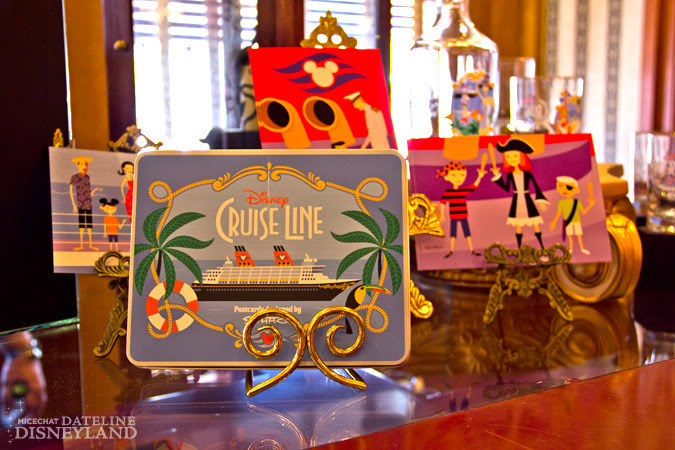 The show included art from the early Jungle Cruise boat concepts up to the latest Disney Cruise Line shop Disney Dream. 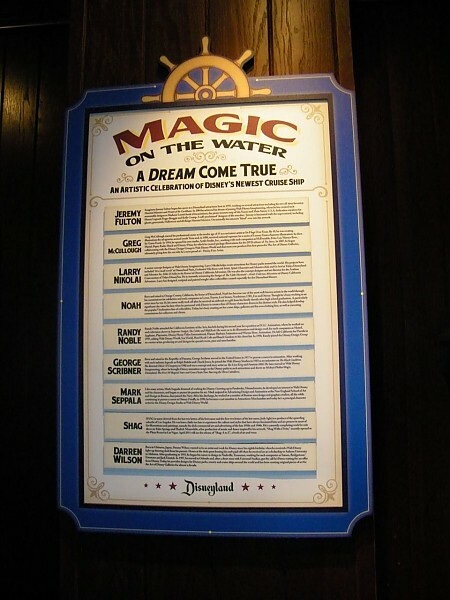 The show also presents A Dream Come True: An Artistic Celebration of Disney’s Newest Cruise Ship. 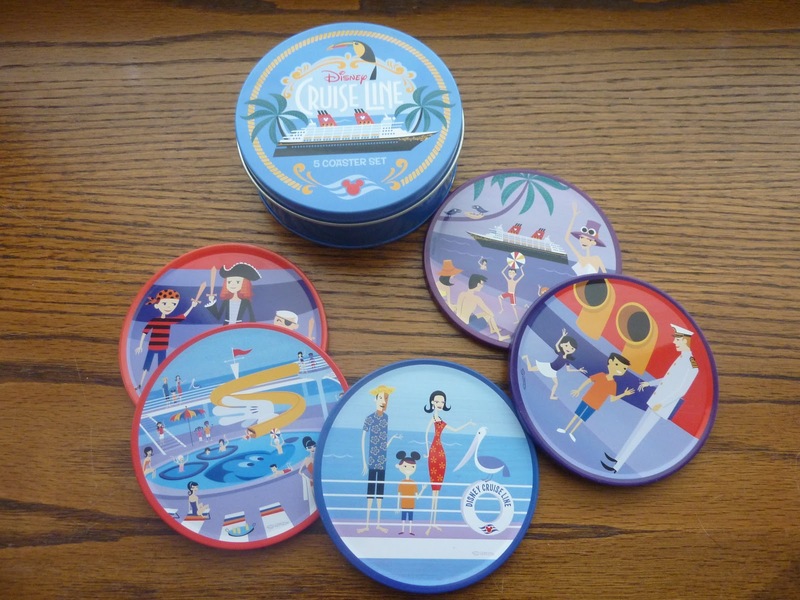 This tribute to the new cruise ship includes several artist’s work including Josh Agle’s. 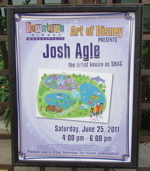 Josh Agle visited Walt Disney World in Florida on January 31st 2011 for an artist signing at the Uptown Jewelers. 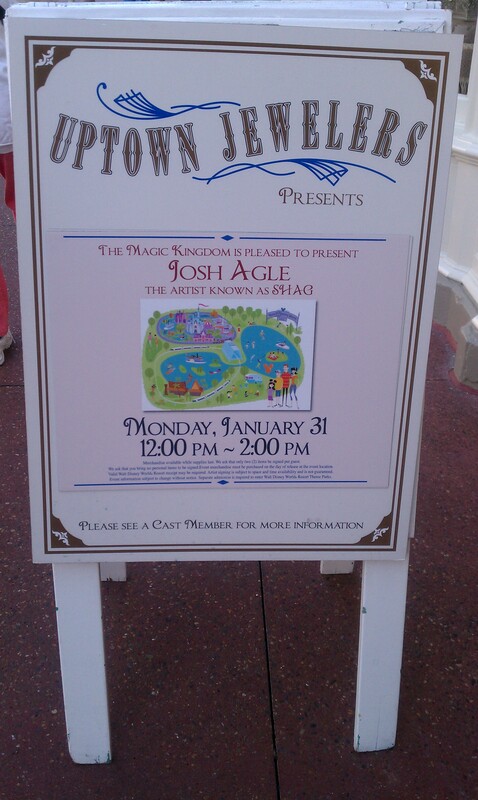 Technically not a group event but he was joined by Fire Chief Smokey Miller and the Dapper Dans. 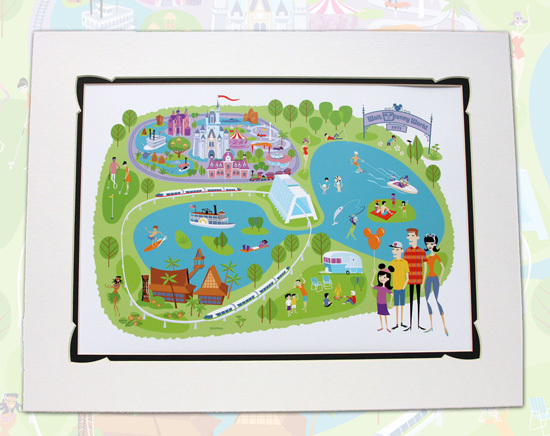 Shag signed the new Walt Disney World 40th Map print and other merchandise (mostly Haunted Mansion 40th Anniversary) that you bought in the shop. 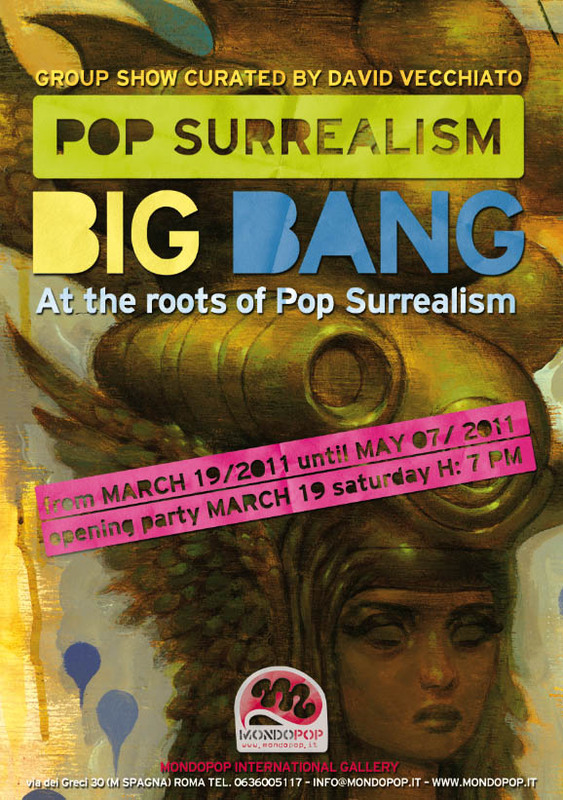 The Big Bang: Pop Surrealism group art exhibition at the MondoPop Gallery in Rome, Italy ran from March 19th to April 23rd. 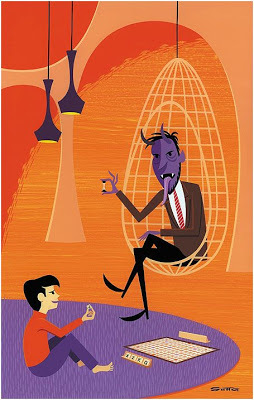 This show had twenty-five artists and looked back at the roots of pop surrealism, urban art, and the lowbrow movement. 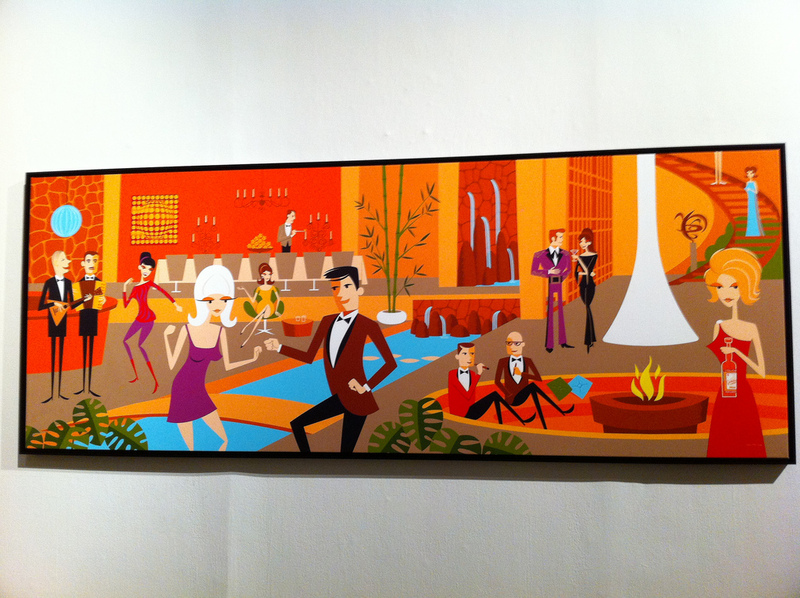 Josh Agle included the work The Crack Up, an acrylic paint on panel painting priced at €7000. 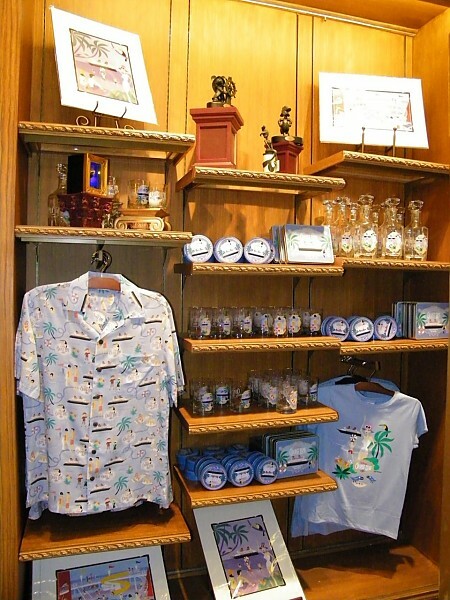 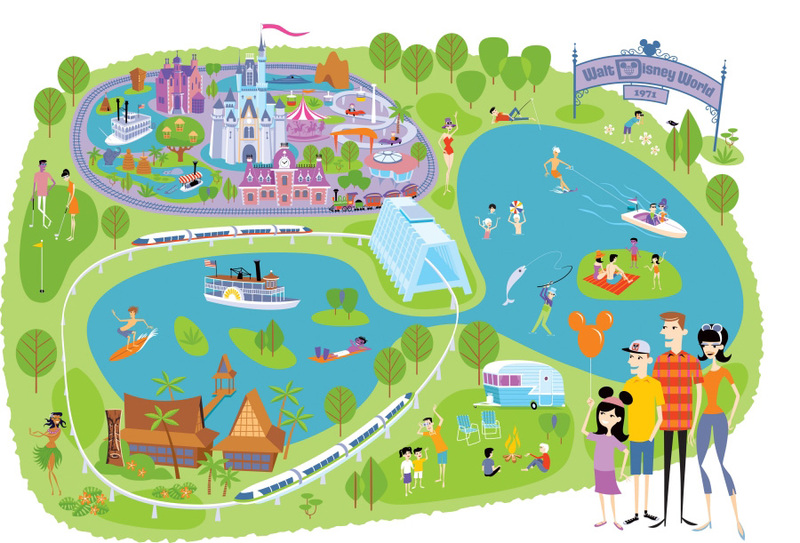 Walt Disney World celebrated its 40th anniversary in 2011with a merchandising event at Walt Disney World in Florida from July 24th to 25th. 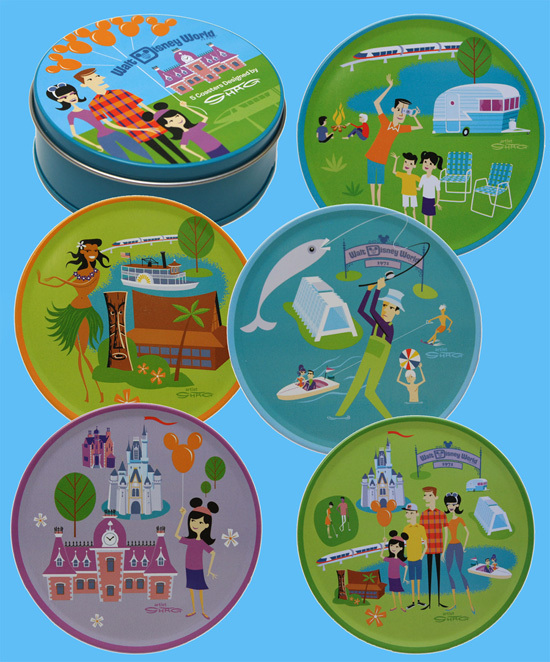 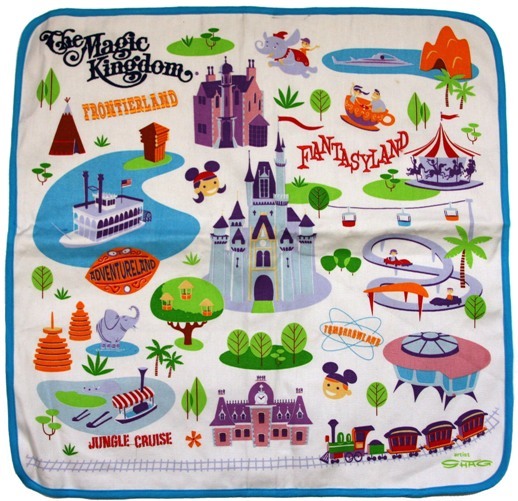 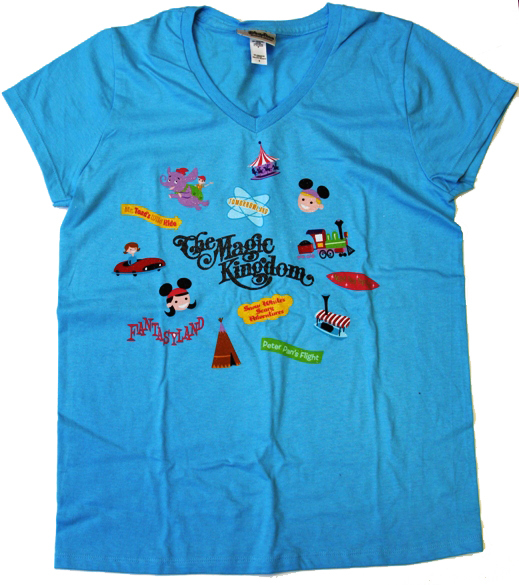 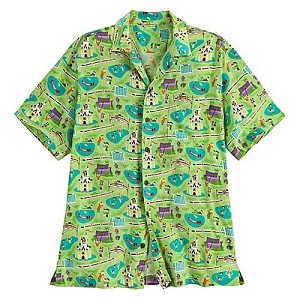 Josh Agle designed a range of items for the WDW 40th anniversary collection. 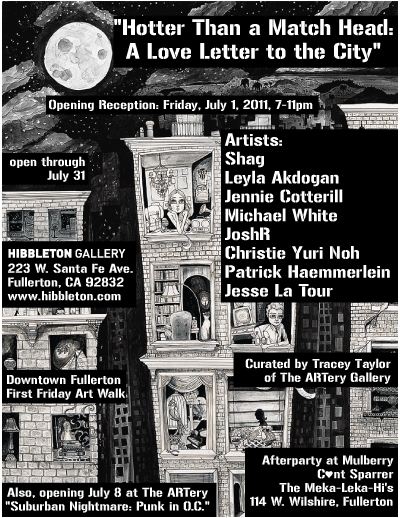 The Hotter than a Match Head: A Love Letter to the City exhibition at the Hibbleton Gallery in Fullerton, California ran from July 1st to the 31st. 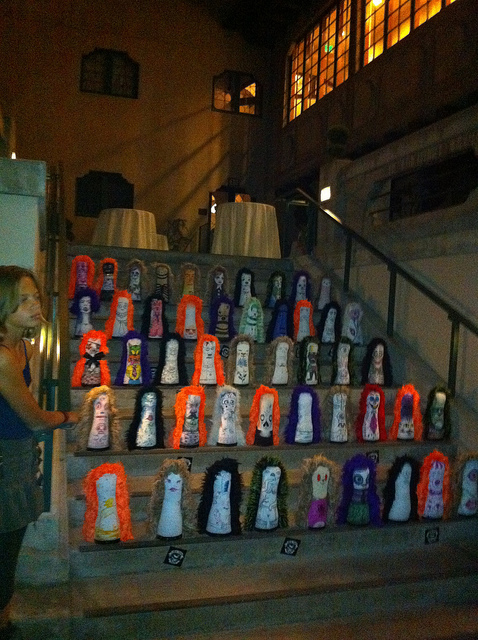 This group exhibition included eight artists and was curated by Tracey Taylor, director of the ARTery Gallery. 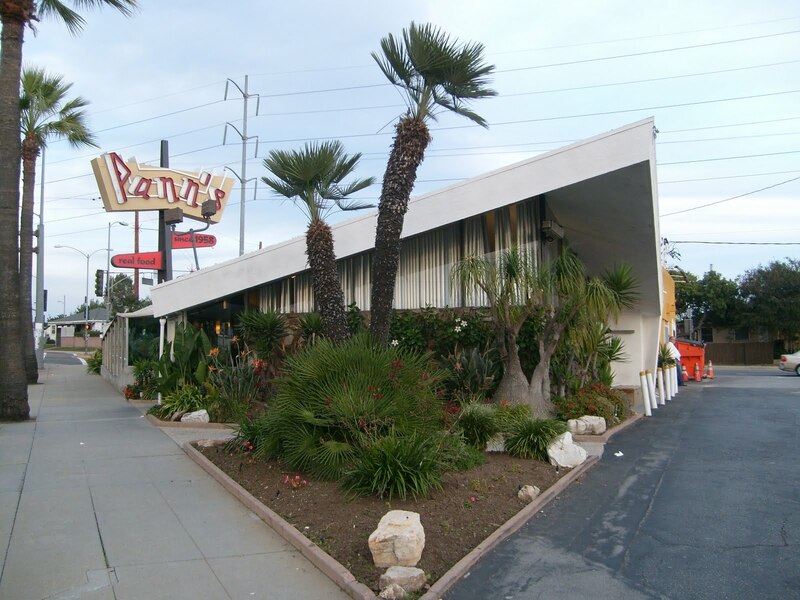 Shag showed the pair of paintings L.A. Modern (Day) and L.A. Modern (Night) from 2004. 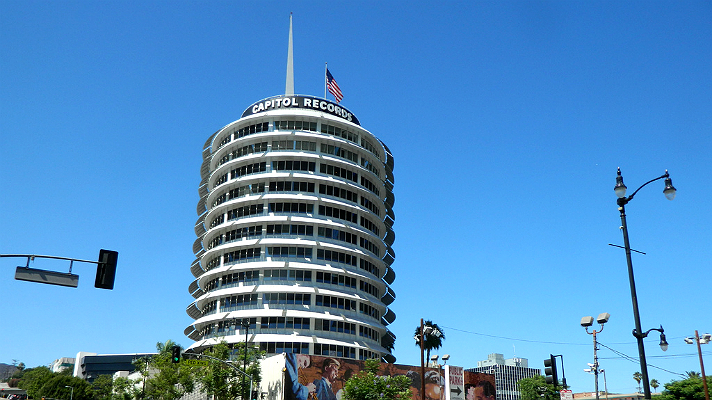 Three iconic Los Angelas buildings are shown in the background of the paintings, the Cinerama Dome (built in 1963), Pann’s (built in 1958), and the Capital Records Tower (built in 1956). 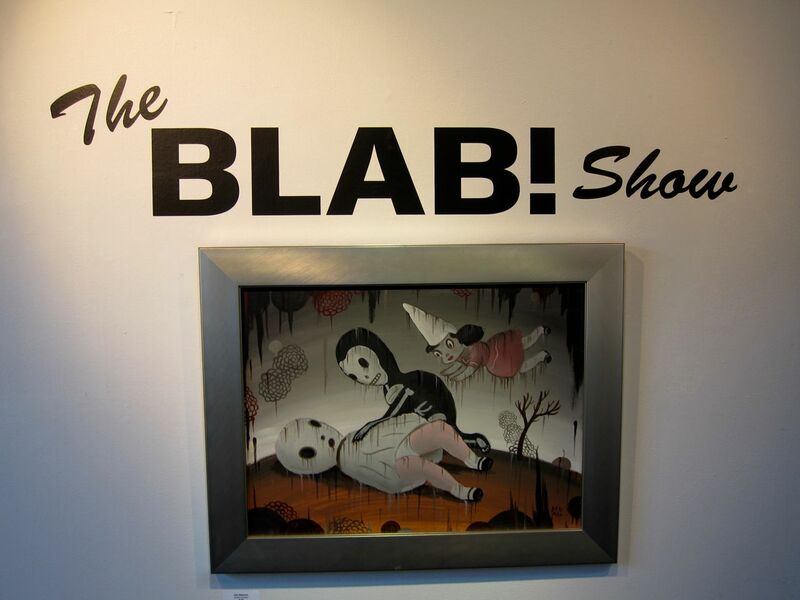 The Roq La Rue Gallery in Seattle, Washington ran The BLAB! 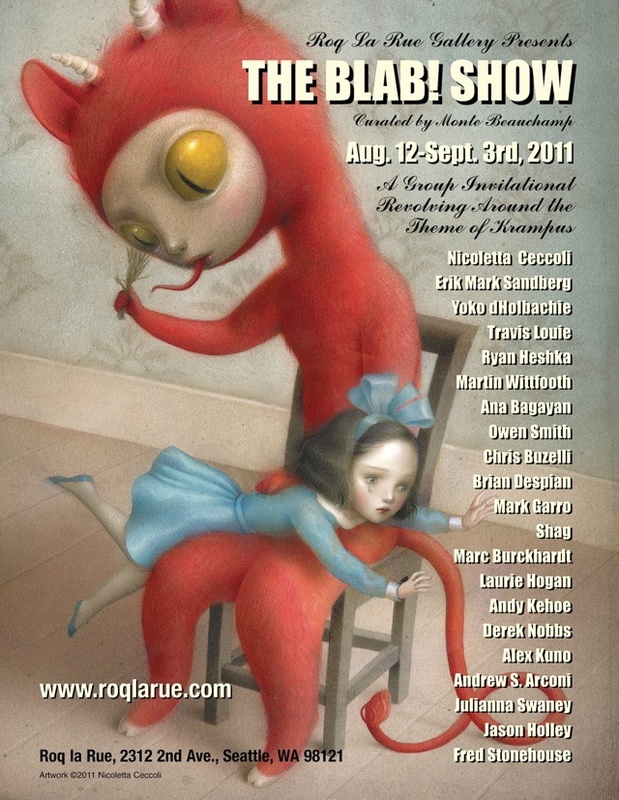 Show 2011 group art exhibition from August 12th to September 3rd. 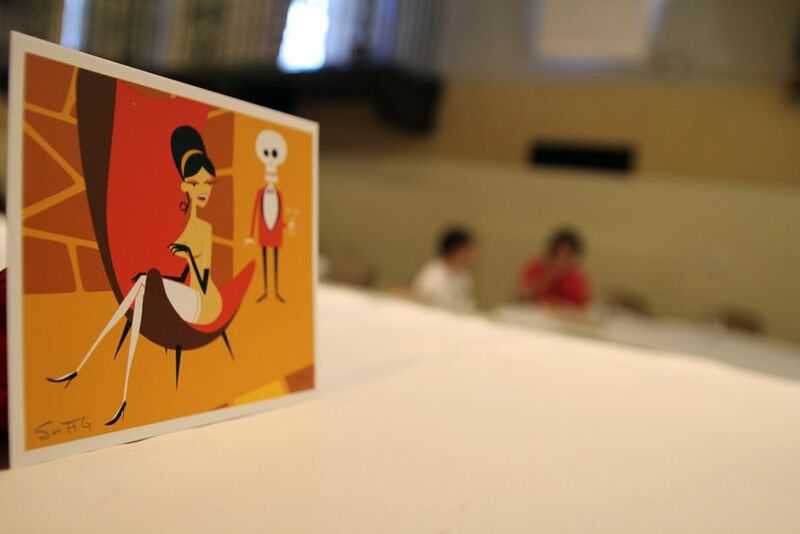 The exhibition featured work from twenty-one artists who contributed to the BLAB World #2 book. 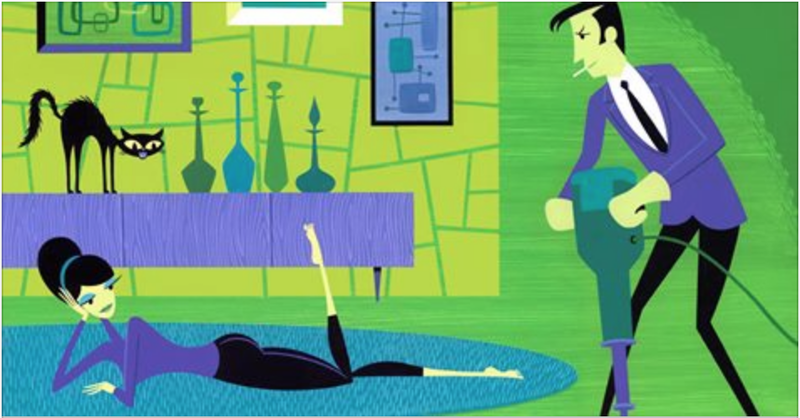 Josh Agle’s contribution was a 19” by 19” acrylic paint on panel original painting named The Artisan that was priced at $9,000 USD. 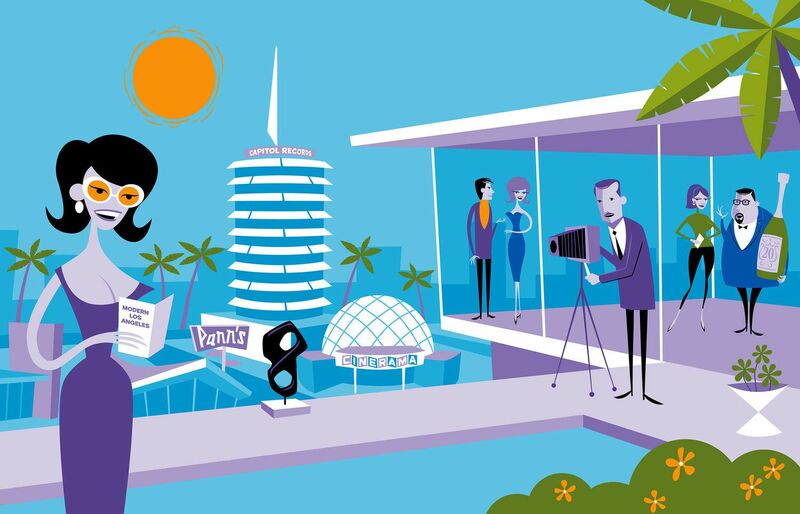 The 7th Annual BLAB! 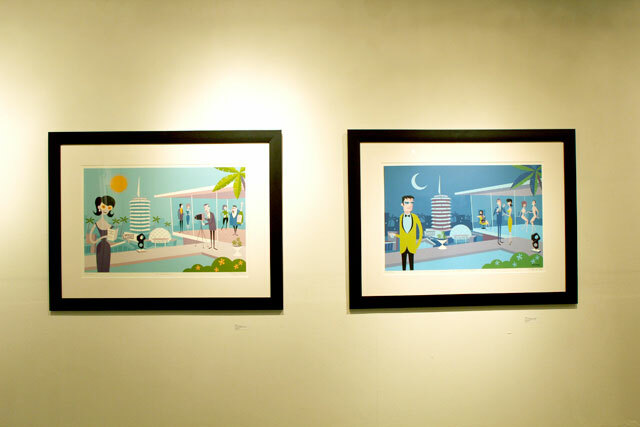 Show at the Copro Gallery in Santa Monica, California ran from September 10th to October 2nd. 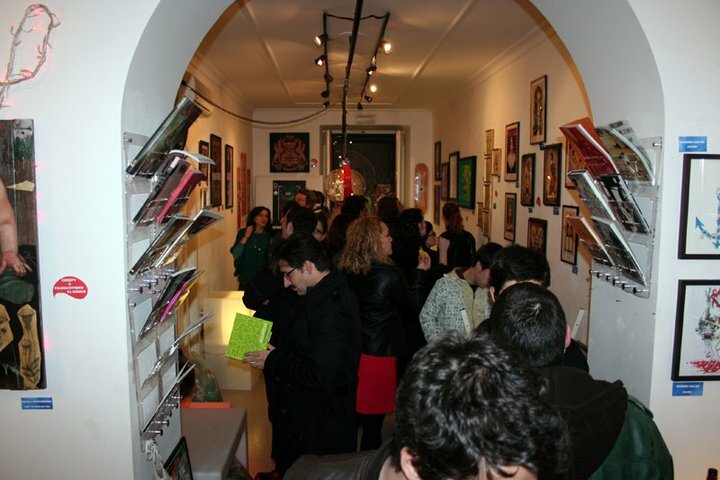 The exhibition included work from the BLAB World #1 and #2 art books. 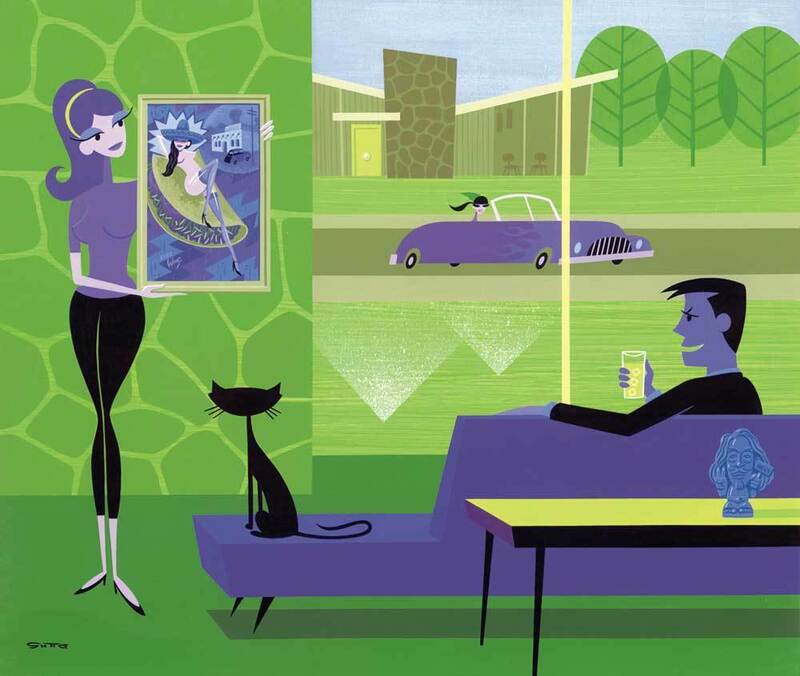 Josh Agle’s contribution was a 19” by 19” acrylic paint on panel original painting named The Artisan that was priced at $9,000 USD. 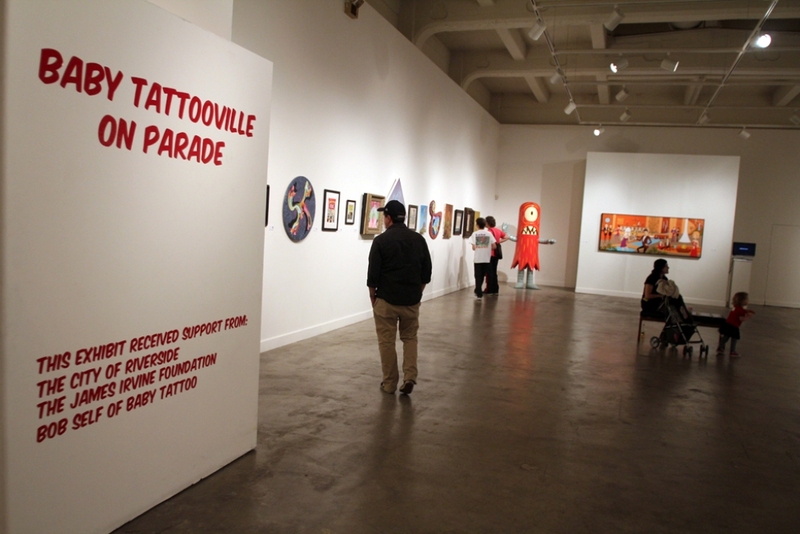 The fifth annual Baby Tattooville group art exhibition featured 27 artists and 25 contributors, with tickets sold out to the 50 collectors who attended. 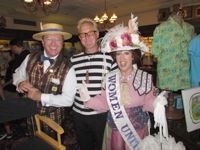 The show and ran at the Mission Inn in Riverside, California from October 7th to 9th 2011. 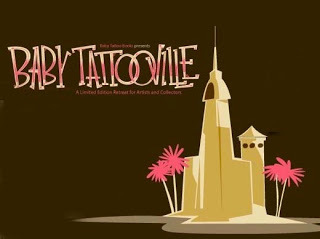 The pop surrealism/lowbrow artwork exhibition is organized by Bob Self and the Riverside Art Museum. 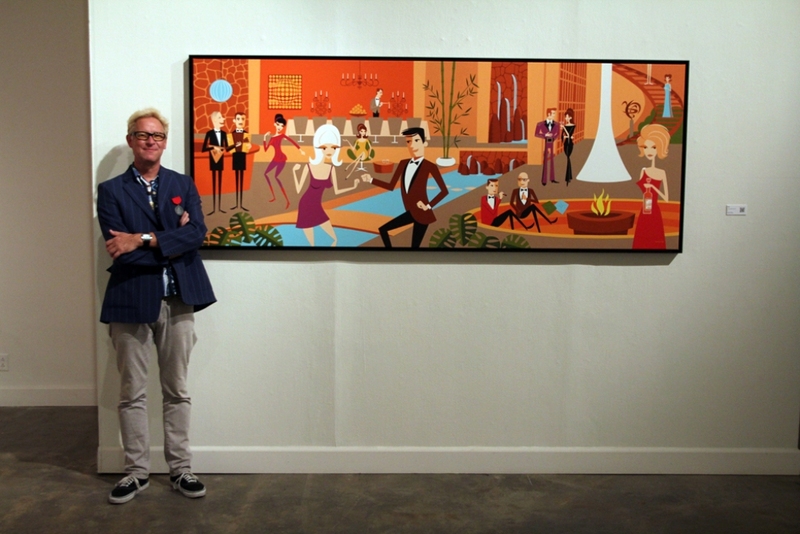 Josh Agle’s huge acrylic on panel painting The Holmby Hills, 10:00 PM took up a whole wall by itself. 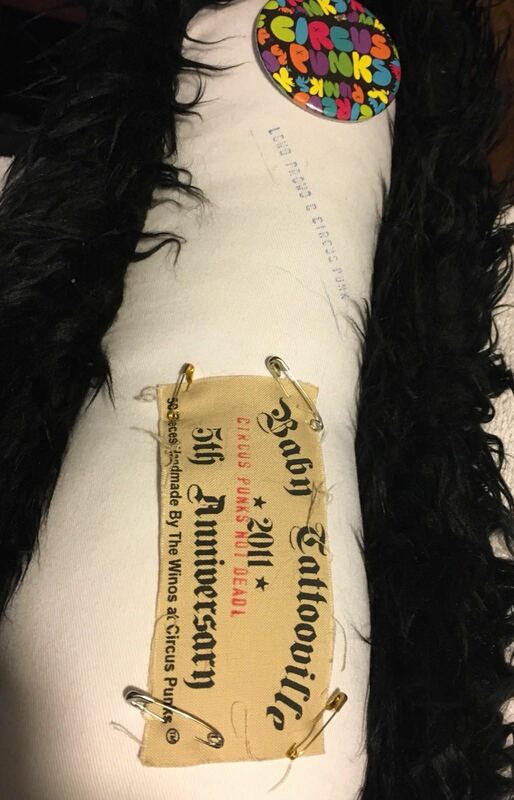 The goodie bag given to Baby Tattooville attendees contained the Baby Tattooville 2011 variant of the 2003 Shag print called The Red Phone. 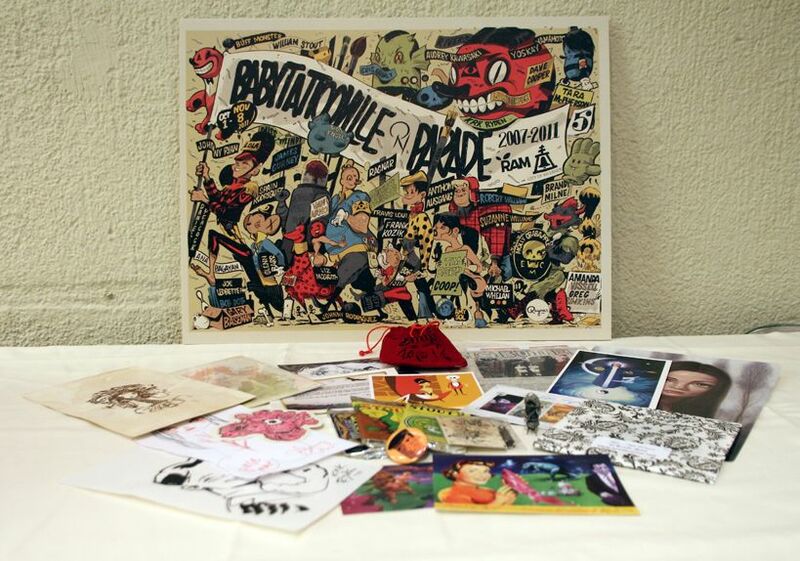 The print was hand numbered and signed by Shag in a limited edition of 99 copies. 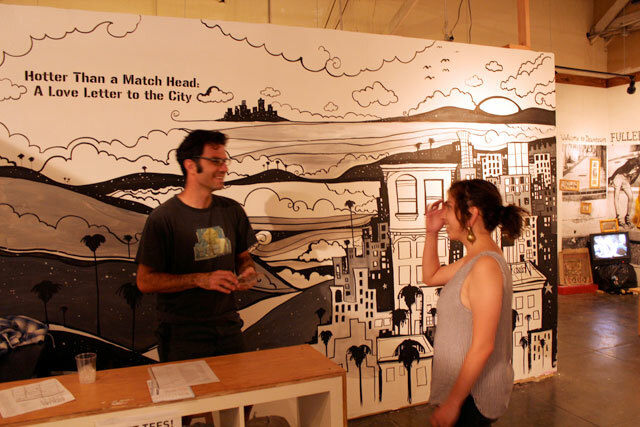 The annual art jam gave a venue for attending artists to collaborate in creating a large original painting. 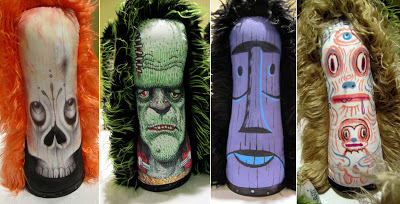 Shag contributed the Tiki head in the top left of the piece. 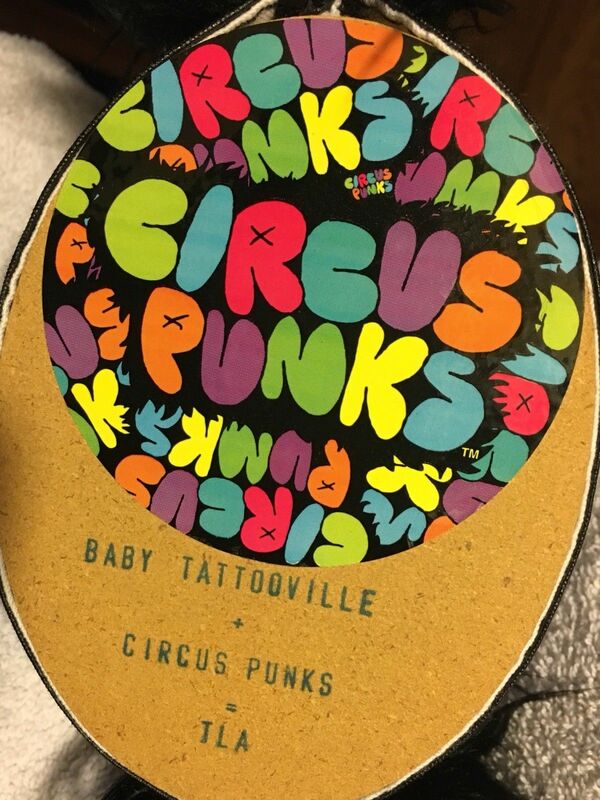 Guests at the Baby Tattooville on Parade on the Saturday, which featured the history of participating artists, took part in a bean bag, knock-em-down, Circus Punk toss to win their favorite piece. 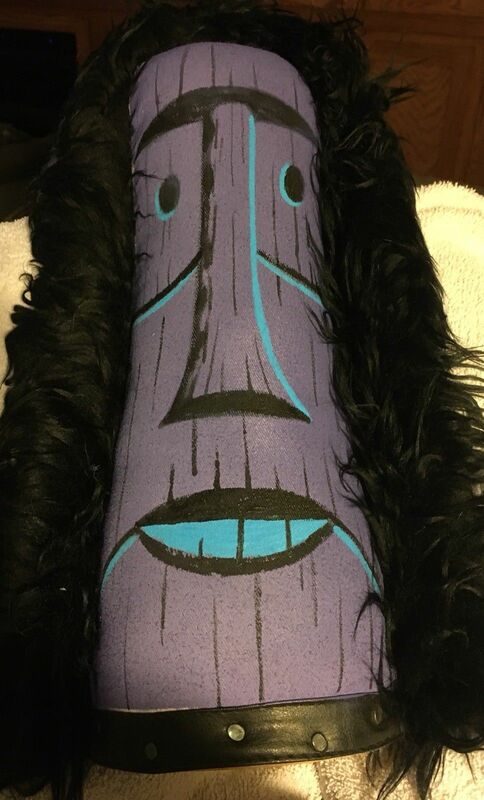 Shag’s circus punk from 2004 was present and won by one of the fifty lucky guests. 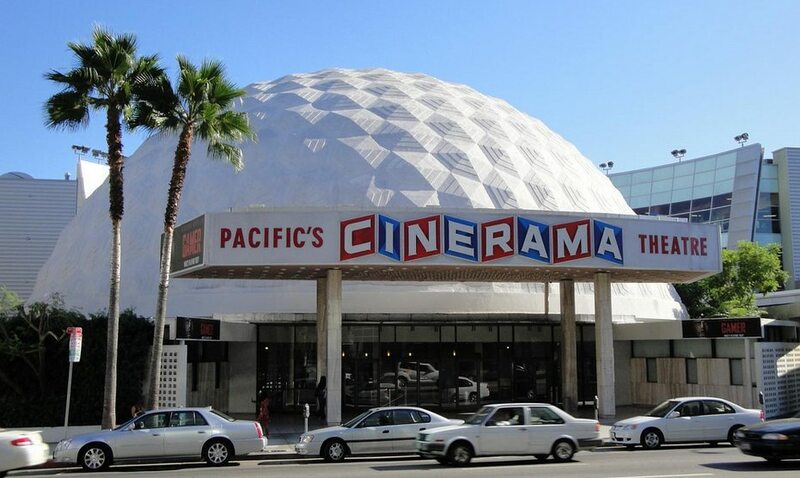 La Luz de Jesus Gallery in Los Angeles, California celebrated its 25th anniversary with a group exhibition from November 4th to the 27th 2011. 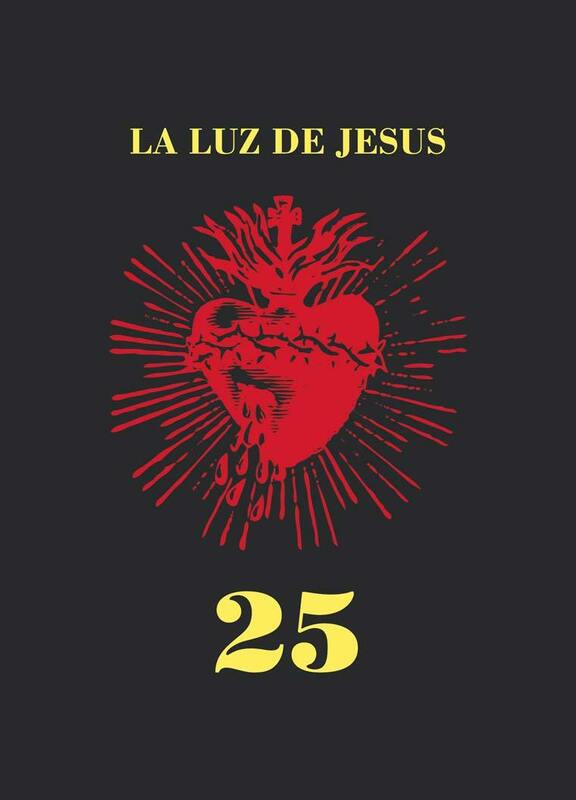 The La Luz de Jesus 25 exhibition featured work from over 260 artists who have previously exhibited at the gallery. 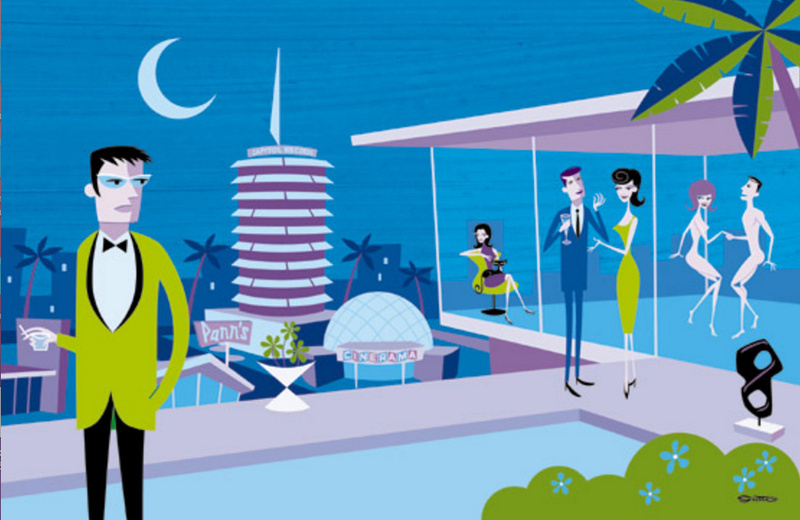 Due to its size, this huge exhibition had to have two parts, each with an opening night. 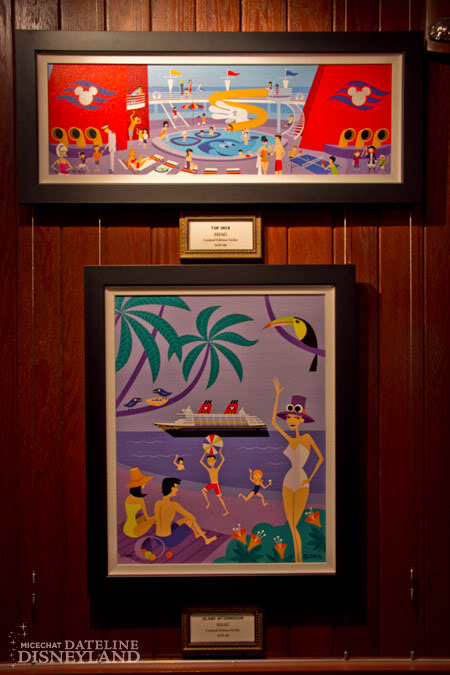 Shag took part in the second part of the exhibition with the 22″ by 19″ acrylic paint on panel Carne de Amore, priced at $10,000 USD. 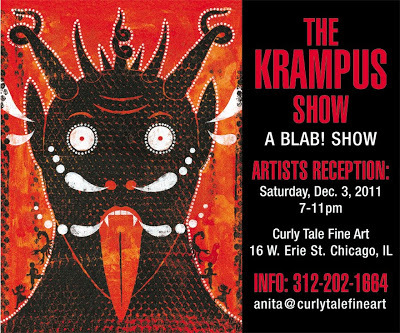 The Curly Tale Fine Art Gallery in Chicago, Illinois ran The Krampus Show from December 3rd 2011 to January 15th 2012. 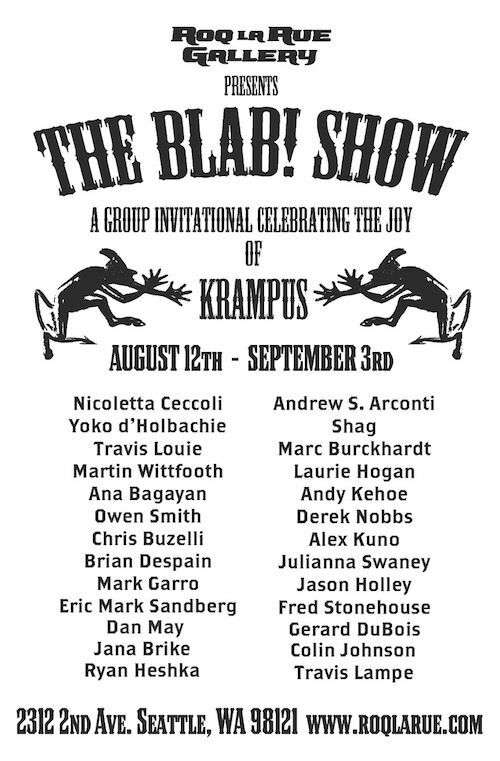 This group show organized by BLAB! 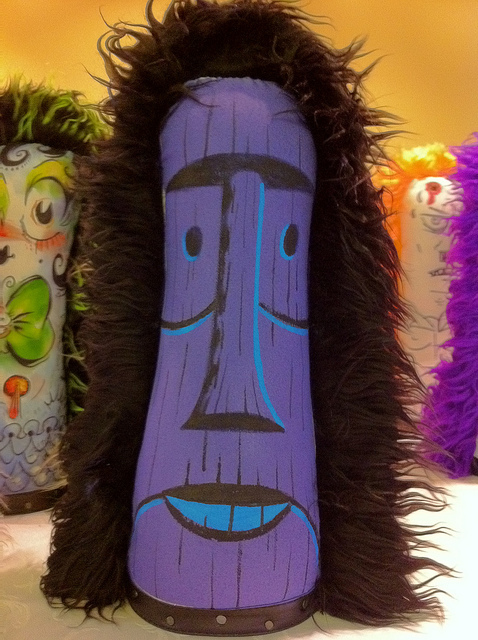 featured the Shag 17” by 11” original acrylic paint on panel painting Brettspiel costing $6,000 USD.